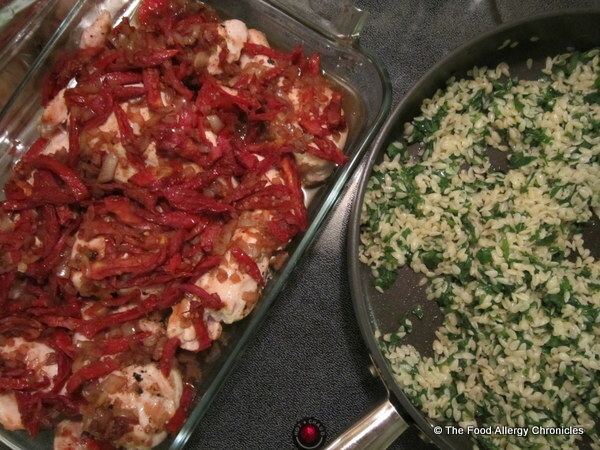 Posted on October 29, 2012 by Susan H.
Tuscan Chicken with Parsley Orzo has been one of my husband’s favourites meals since the first time I made it back in March 2001. Easy to prepare, great for entertaining and any leftovers can be frozen for a later date. Unfortunately, this past week, has been a difficult one for me health-wise…the bit of running I added to my power walks has backfired…it aggravated my pinched nerve. 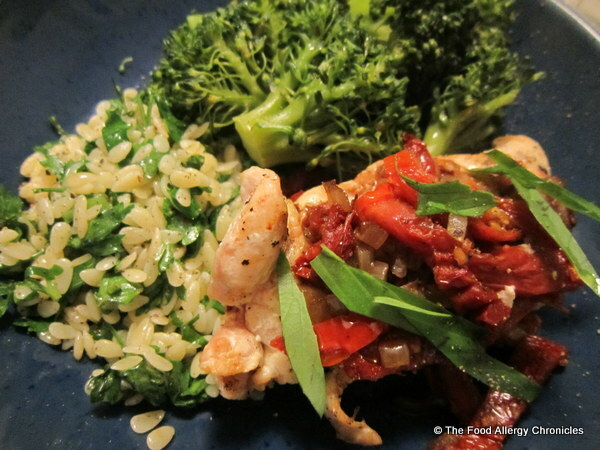 As a result, Andy took charge of Saturday night’s dinner…of course, he chose one of his all-time favourite dishes…Tuscan Chicken with Parsley Orzo…yeah! This recipe originates from a Canadian Living magazine…Diane Clement’s Tuscan Baked Chicken with Orzo recipe was highlighted. Click here for an adapted version of Canadian Living’s recipe printed in the Vancouver Sun newspaper. I have taken the liberty of adapting the original Canadian Living version to suit our personal tastes and dairy allergy…omitting the parmesan cheese in the orzo, allows Michael to enjoy a sample. 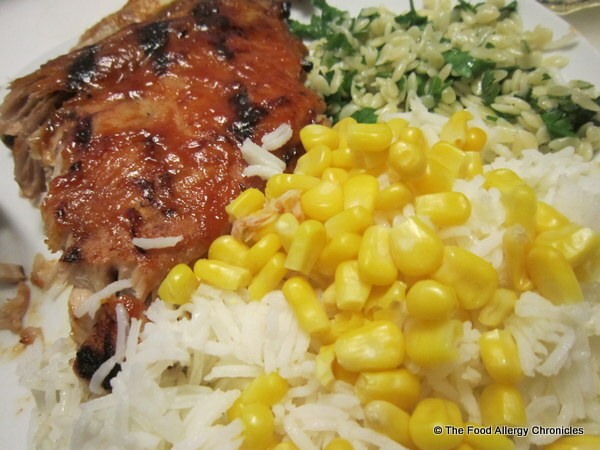 Barbecue chicken breasts, 5-6 minutes a side..place in a 9 by 13 casserole dish. 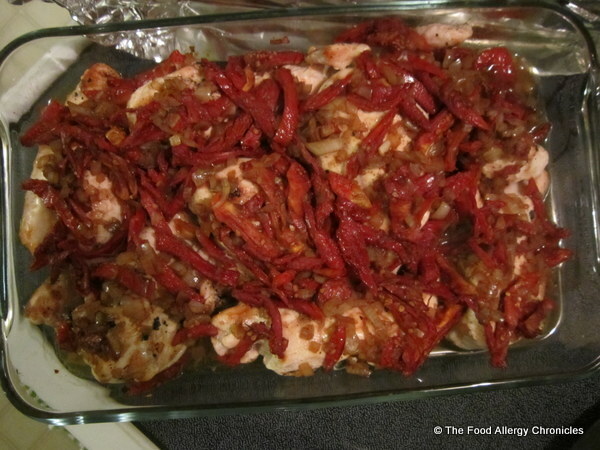 While chicken is barbecuing…in a saucepan, saute onion in olive oil until softened. 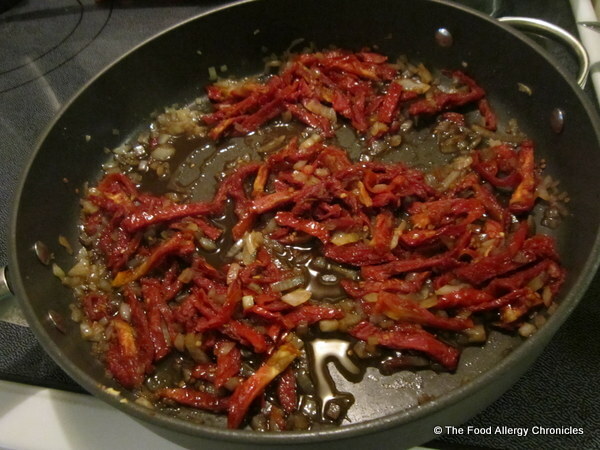 Add white wine, balsamic vinegar, sun-dried tomatoes and a few grinds of black pepper. 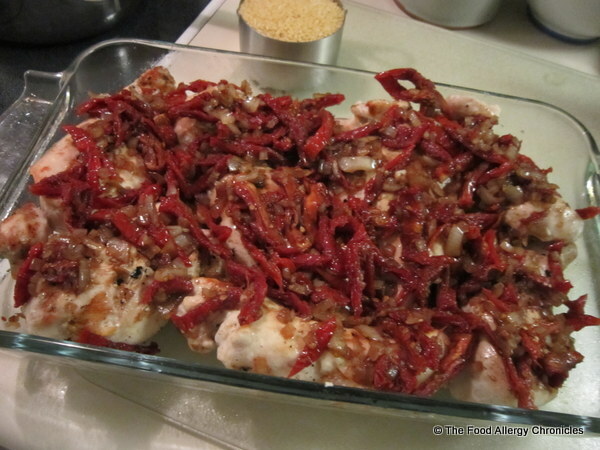 Pour over chicken breasts, arranging sun-dried tomatoes and onion mixture evenly over the chicken breasts. Garnish with slivers of sliced fresh basil. In a pot of boiling salted water, cook orzo according to package instructions. In a large pan, heat olive oil on medium heat. 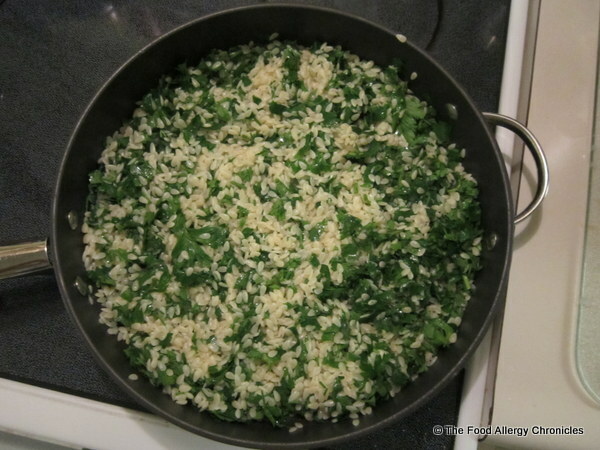 Add drained orzo, parsley and salt and pepper to taste. Tip 1: By not adding the parmesan cheese to the Parsley Orzo, as in the original recipe…Michael is able to enjoy this meal with us. Tip 2: This dish can easily be made ahead of time…just pop it in the oven for easy entertaining! P.S. Andy loves to grind fresh parmesan over his Parsley Orzo, as seen in the first picture at top. Do you have a favourite meal you enjoy as a couple? 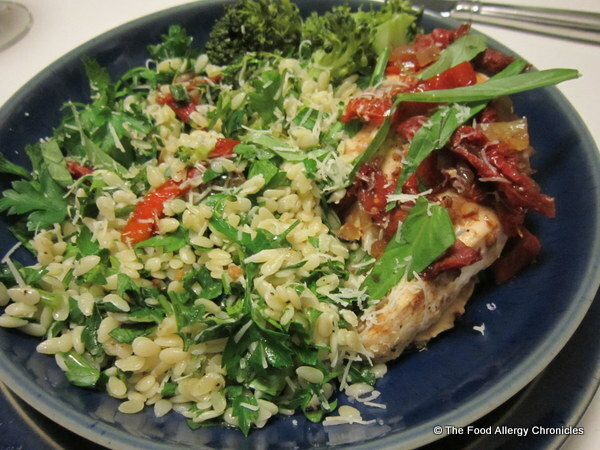 This entry was posted in dairy free, dinner, egg free, multiple food allergies, mustard free, peanut/tree nut free, sesame free, side dish, soy free and tagged Canadian Living magazine, Diana Clements Baked Tuscan Chicken with Orzo, Tuscan Chicken with Parsley Orzo by Susan H.. Bookmark the permalink. Boy that looks delicious! You have talked about this dish over the years, and I think you may have even given me the recipe…..to think I have been missing out on it all these years. I will have to give it a try. Maybe it will be our Sunday meal this week! Yes, I believe you will be ‘kicking yourself’ for not making this sooner…it truly is one of our favourite dishes!